We want to make sure that you are able to get to the mountains before school starts back and you are not able to get away as easy. That is why we are offering our guests 15% OFF any available cabin booking in August! Be sure to give us a call and get you last minute trip to the mountains booked at a great rate! Right now is a great time to be here, the sun is out and the air is warm. Swimming, rafting, hiking, tubing, paddleboarding, and many other activities are in their prime right now, so get here while the water feels refreshing and before the air gets cool so you can enjoy all the outdoor water activities that western NC has to offer. See You Soon! 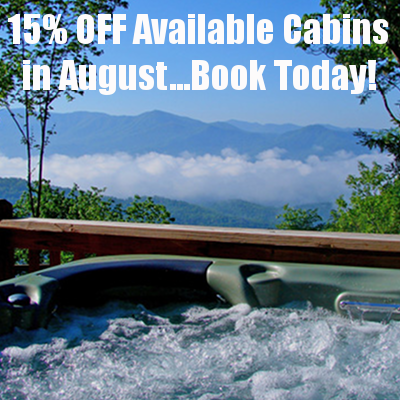 Call us at 800-528-0760 to book your cabin today!